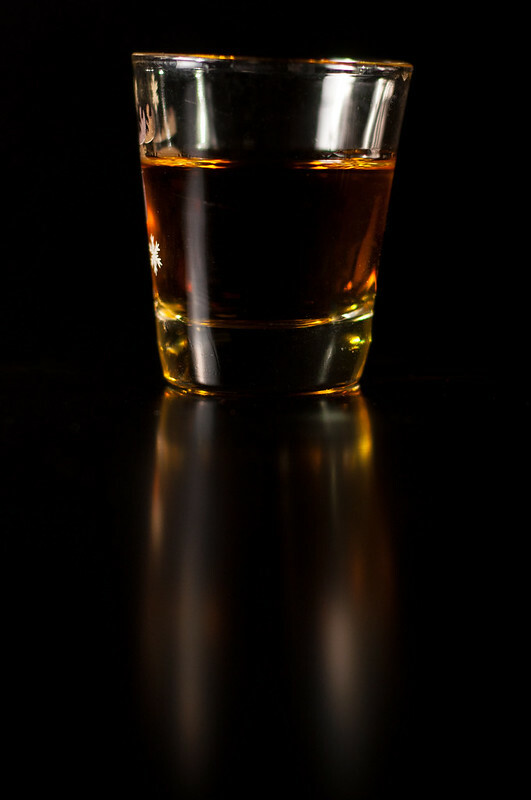 I needed an example photo for an upcoming article, so I tried my hand at photographing a shot of bourbon (Bulleit). I never realized until now that the shot glass is uneven. Best part: It was the reward at the end of the work day!